We’d love your help. Let us know what’s wrong with this preview of A Soldier and a Liar by Caitlin Lochner. Lai Cathwell is good at keeping secrets. As a Nyte, a supernaturally gifted teenager who is feared and shunned by the ungifted, this skill is essential to survival. Orchestrating her own imprisonment to escape m In a world on the brink of war, four superpowered teens must learn to work together for peace in Caitlin Lochner's action-packed debut novel, A Soldier and A Liar. To ask other readers questions about A Soldier and a Liar, please sign up. Caitlin Lochner’s A SOLDIER AND A LIAR is an action-packed tale where coming of age can be deadly for those who are “gifted” with special abilities, expected to save their world, yet are shunned by the normal around them. Brilliantly colored characters, a plot that shines with imagination and an author who has brought it all together never wasting a single word! Lai is a master of deceit, an accomplished escape artist and yet, she is the most untrained of her group when it comes to warfare, offense and defense. She jumped off the pages for me as a fresh character with so many facets to who she is. I am very impressed with the potential for an incredible series that will have readers begging for more! I received a complimentary ARC edition from Swoon Reads! Hunger Games meets X-Men in this unique and highly addictive read. In a post apocalyptic world, there are two kinds of people Etiole and Nyte. Etioles are more numerous and run the Council and army. Nytes are gifted. They heal faster and have unique abilities, because of this, they’re forced to join the military at a young age. Lai is a former soldier who has spent the last 2 years in prison. At least that’s what the Council thinks. In reality, she’s used her telepathic powers to work for and re Hunger Games meets X-Men in this unique and highly addictive read. Lai is a former soldier who has spent the last 2 years in prison. At least that’s what the Council thinks. In reality, she’s used her telepathic powers to work for and recruit for the Order (a peace organization) while slipping in and out of her cell. General Austin visits her in prison and asks her to join a special military team of Nytes. She says no at first, but decides she might be able to do more good out of prison. But the new team has problems and her past is going to catch up with her. Jay is a model soldier and Nyte. He’s been tasked to lead a team of 3 Nytes. Lai Cathwell, recently out of prison. Mendel who can’t remember his life before 3 months ago. Johann who is a transfer from another sector. He’s sympathetic and smart, but it’s difficult trying to make a team out of them. Especially a team able to fight the growing rebel Nytes. Told from Lai and Jay’s perspectives, they are both complex characters with difficult pasts and uncertain futures. Can they trust each other? In a society ruled by the Council, a special force of gifted teens are assembled to fight an emerging underground cell of rebels. Lai is a former soldier who hides her telepathic ability, using it to her advantage against those she doesn’t trust—practically everyone. When she meets Jay, her new commander, a brilliant yet humble military figure, Lai begins to realize trusting a stranger might be the hardest part of the mission. Jay exists to bear the weight of his father’s expectations and has nev In a society ruled by the Council, a special force of gifted teens are assembled to fight an emerging underground cell of rebels. Jay exists to bear the weight of his father’s expectations and has never questioned the military, but after Lai joins his team, he wonders if he’s been following the wrong orders. With an apocalyptic backdrop and a cast of well developed characters, Caitlin Lockner’s A SOLDIER AND A LIAR examines the nature of society while weaving a complex, action packed story. This book had great characters, but horrifically bad worldbuilding. It's told in dual first-person perspective by Lorelei 'Lai' Cathwell and Jay Kitahara, a pair of Nytes - meaning people born with special powers. She's a telepath, and he's an empath who can also tell if someone's lying. They're in the army in the service of Etioles, non-gifted people, who vastly outnumber Nytes; the current threat at the moment is rebel Nytes, who want to overthrow the Etioles and end the discrimination faced This book had great characters, but horrifically bad worldbuilding. It's told in dual first-person perspective by Lorelei 'Lai' Cathwell and Jay Kitahara, a pair of Nytes - meaning people born with special powers. She's a telepath, and he's an empath who can also tell if someone's lying. They're in the army in the service of Etioles, non-gifted people, who vastly outnumber Nytes; the current threat at the moment is rebel Nytes, who want to overthrow the Etioles and end the discrimination faced by the gifted. The other two members of Jay's team are Al Johann, a girl pretending to be a boy, and Erik Mendel, a frequent liar. They have to work together to end the rebel threat. Lai is also a member of the Amaranthine Order, a group of Nytes dedicated to instilling cooperation between Nytes and Etioles. Okay, so: there was frankly zero explanation behind the concept of Nytes. They're humans born with gifts. How? Where did the gifts come from? At least in Marie Lu's The Young Elites, the gifts come from a specific illness. Here, vague mention is made of radiation before being dismissed. There are also frequent references to how Nytes rarely live beyond their teenage years. Why???? Do their gifts kill them? Do Etioles kill them? Does service in the army kill them? For that matter, are there any civilian Nytes or are they automatically drafted into the army? How can the army tell who's a Nyte and who isn't? When do these gifts manifest themselves? The layout of the surroundings was also poorly explained. I found it incredibly hard to visualise the setting whenever they left their army barracks to carry out missions - it just wasn't described well enough. Also, there are sectors like the in The Hunger Games, and different sectors are supposed to have different rules etc, but there was no further information given to actually help us differentiate between these sectors. In fact, I can't even remember which sector all the action is happening in. There was also no reference to what kind of technology exists in this world, or anything - it was intensely generic. On the bright side, I really liked Jay and Lai's characters. They're smart and talented without being Mary Sues. The secondary characters (apart from Al and Mendel) weren't very well fleshed out, but they weren't intolerably bad either. Bad world with no explanation or depth behind it, but likeable protagonists. It has the found family trope, and it's done pretty well. I loved the way this trope was written! But overall, this was a slightly interesting story. The premise is great and I love the whole idea with superpowers. It's your typical dystopian with powers and having ungifted humans vs. gifted humans, but it does have its own twists on everything that makes the story worth the read. It was quite slow for me in the beginning, but I really did enjoy the characters. They get much better thro 3.5 stars. It was quite slow for me in the beginning, but I really did enjoy the characters. They get much better throughout the entire story and I'm actually very curious to see where Lochner takes the story. Lia has spent the last two years locked away in prison, but what nobody knows is that she sneaks out at night to help the underground group of Nyte's who long for peace and acceptance in a world that calls them "demons". When the General she use to fight for asks her to come back to the war effort and stop the rebel Nytes, she agrees, mainly as a way to gather more information for her group. Jay just wants to make himself useful and follow orders, to maybe one day be looked on as a fellow soldier instead of a monster, but what he never expected was to be caught in the middle of a real war he never even knew was coming. Let's start out with mentioning that I have a total case of cover love going on with this book. It is so pretty and basically perfect for the story- and I can easily picture Lai here. 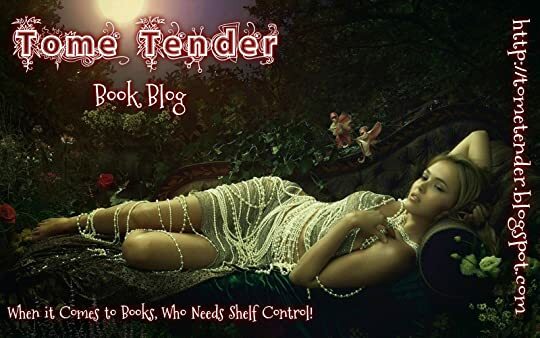 This is a Swoon Reads publishing book which means that readers get a say in what is published and they get to vote on the cover and they did a great job with their selection. High five guys! If you want to learn more about the Swoon Reads website and process go here . I found A Soldier and A Liar to be an interesting mix of supernatural and dystopian, with lots of action and secrets to keep the reader turning the pages for more. I found it interesting that one of the main characters, Lai, was seen as "crazy". This is the first time that I have been inside the head of a character that everyone sees as mentally unstable and it was such an interesting ride! I love how her attention flickered randomly, with so many triggers to cause her to lose focus, yet she was crazy smart like a fox. She could see and pick up things that nobody else noticed (like that one person was really a girl and nobody else caught on). At times I doubted what she was doing but then she surprised me as well as her team. I liked that she could keep me guessing. The other main character was Jay, aka Kitahara was the complete opposite of Lai. He was the definition of focus and drive, never letting his goals strays from the purpose that he was assigned. He was such a kind character, which feels odd to say when he is a battle trained soldier in the middle of a gory war, but it was the truth. The one aspect of the book that made me struggle a little was that the reader is just blindly thrown into the middle of the book, with Lai locked up in prison for an unknown action, in a unknown world that has people (kids only it seems) with powers potentially due to an illness (a la The Darkest Minds series), and no real idea of how anything came to be. And I feel like the world started to come together as I read the book, but honestly it still felt like I was missing some pieces to make the world and the book complete. I was still able to enjoy the story but I would have liked a little bit more of the filler. This is Caitlin's first book (and very much a series with an ending that hints ar more to come!) and I am really impressed with her storytelling abilities and creativity. I can't wait to see what else she wants to create next. Lai's world is broken into two sorts of humans, those with powers and those without. Those with powers, the Nytes, are shunned, mistreated and mistrusted. Although Lai, a Nyte who is a telepath, was a top solider in the military of the normal humans, she was thrown into prison thanks to a small crime. She sneaks out and secretly works for the Order, a growing underground society which strives for a pea After reading the blurb, I knew I had to get my hands on this book, and I was not disappointed. One of my favorite aspects of A Soldier and a Liar is that the world development is articulated and molded so well, which allows the pacing of It has been so long since I have read a dystopian novel and A Soldier and a Liar was the perfect book to fall back into the genre. Providing a futuristic setting where the world is in disarray and people are fighting to survive, this book provides an outlet for multiple characters to shine brightly in two main perspectives of gifted soldiers: Lai and Jay. Caitlin Lochner’s debut novel, A SOLDIER AND A LIAR, spins a thrilling story shrouded in suspenseful mystery. Humanity lives in domed cities, sheltered from the toxic, post-apocalyptic world outside. The cities, called Sectors, are governed by High Councils and protected by the military. Strangely and without warning, two decades ago, children with superpowers, or Nytes, began arising in the Sectors. 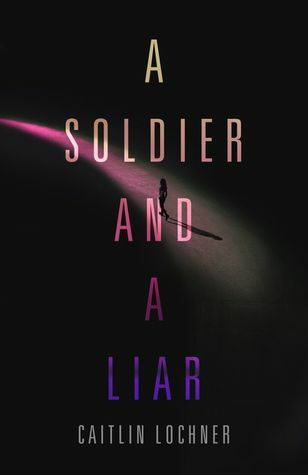 Fearing the capabilities of Nytes the non-superpowered majority, or Etioles, began to establish Caitlin Lochner’s debut novel, A SOLDIER AND A LIAR, spins a thrilling story shrouded in suspenseful mystery. Humanity lives in domed cities, sheltered from the toxic, post-apocalyptic world outside. The cities, called Sectors, are governed by High Councils and protected by the military. Strangely and without warning, two decades ago, children with superpowers, or Nytes, began arising in the Sectors. Fearing the capabilities of Nytes the non-superpowered majority, or Etioles, began to establish harsh regimens against Nytes in order to keep them in check. In Sector Eight, part of this regimen requires Nytes to join the military. But the harsh treatment of Nytes isn’t settling well with everyone. There is a dangerous rebellion brewing --- for over two years, Nytes have been gathering in the condemned zones outside the Sectors, threatening to wipe out all Etiole life for society’s wrongs against Nytes. After two and a half years in prison, Lai Cathwell is hesitant to rejoin the military. As a Nyte, she is discriminated against and universally hated; she has more freedom behind bars, from where she can easily sneak out at night, than under the watchful eyes of Sector Eight’s High Council. When an old military friend comes asking for her help, however, in assembling an all Nyte team to fight against the rebels, Lai finds herself allied with three other Nytes: Jay, Al and Erik. At first, things are pretty rocky --- none of her teammates seem able to get along...or want to. Jay, shouldered with the role of leader, just wants the team to work. Al is riddled with temperamental issues and disrespect for other team members. Erik simply outright refuses to comply with the team. But despite their differences and their issues, their team slowly comes together as they are thrown out into the battlefield. They’ll have to be united if they’re to face what’s coming. A SOLDIER AND A LIAR is set up like a chess match, every character acting as a piece of the larger puzzle. I could not help but continue reading, curiosity pulling me through the story’s carefully constructed tale as each character’s secrets slowly became unraveled. Every seemingly small detail is important to the story, brought together in the final moments in a well-written crescendo. I greatly enjoyed the characters; they are what I believe brought Lochner’s story to life. Lai is secretive, deceptive and cunning. Her past is what shapes the story, and her actions ripple into tidal waves, affecting the entire team. Jay is the team’s socially-anxious, perfectionist leader. Ironically, his need to be accepted alienates him from the people he wants to connect to. Al is a revenge-driven, hot-head who doesn’t get along well with other people. It doesn’t matter who is burned if Al can obtain revenge. Erik is an amnesiac and compulsive liar who doesn’t trust anyone. To him, the team isn’t even a concern. Each character is extremely different, their different personalities are iconic and unique. What I particularly liked, however, was not how Lochner described the individual characters, but rather how she depicted their relationships. In the beginning, none of them are able to understand or work with one another; there is too much tension, too much distrust. But that makes sense; in a world where everyone hates you, it’s hard to find people willing to work beside you. As the story develops, though, so do the characters. Gradually, the four of them click together. Bit by bit, Lai, Jay, Al and Erik become what the common narrative expects of heroes not because of their individual qualities, but because of their cohesiveness. I found the story slow in the beginning. The first chapter starts in the middle of something exciting, but afterward, it takes a while for the ball to get rolling. The story focuses on introducing and developing several characters at once, then building relationships between them. While I loved what came out of this development stage, it was slightly boring to read through at first. It does eventually pick up, and when it does the book becomes hard to put down. I wasn’t sure what to make of A SOLDIER AND A LIAR at first. It starts off slow and the characters are difficult to relate to, but I’m glad I stuck it out. The story and character development really picks up at about the 50% mark and takes off after that. Lai Cathwell is 17-year-old superpowered soldier. She and fellow young adults, Al (Johann), Erik (Mendel), and Jay (Kitahara) form an unlikely team of enhanced humans known as Nytes, on a mission to take out an elite squad of rebel Nytes determ I wasn’t sure what to make of A SOLDIER AND A LIAR at first. It starts off slow and the characters are difficult to relate to, but I’m glad I stuck it out. The story and character development really picks up at about the 50% mark and takes off after that. Lai Cathwell is 17-year-old superpowered soldier. She and fellow young adults, Al (Johann), Erik (Mendel), and Jay (Kitahara) form an unlikely team of enhanced humans known as Nytes, on a mission to take out an elite squad of rebel Nytes determined to overthrow the Etiole government. While Nytes have powers, they are shunned for them, treated as second-class citizens at best. Lai wants acceptances and equality for Nytes, while the other three each have their own reasons for accepting the mission. With four different motivators, to say they’re a team would be a massive overstatement. Trust is hard to come by and suspicions run high. As their leader, Jay wants cohesion and solicits Lai’s help to make that happen. The more Lai learns about her teammates, the more she both likes them and distrusts them. But they’ll be forced to work together, whether they like it or not, to prevent all out war. When Lai decides to leave prison and rejoin the military, she doesn't know she's going to be part of a small task force consisting of Nytes. Nytes have a special ability and can function outside the domed sectors of this dystopian world. The Etoiles (French for "stars") are what's left of humankind, make up the majority of the population, and fear the Nytes due to their abilities. Lai is paired up with Jay, Al, and Erick to assist the military in secret missions against the Rebels--the Nytes who When Lai decides to leave prison and rejoin the military, she doesn't know she's going to be part of a small task force consisting of Nytes. Nytes have a special ability and can function outside the domed sectors of this dystopian world. The Etoiles (French for "stars") are what's left of humankind, make up the majority of the population, and fear the Nytes due to their abilities. Lai is paired up with Jay, Al, and Erick to assist the military in secret missions against the Rebels--the Nytes who live outside the domes with a burning hatred for Etoiles due to the harsh treatment they've received from them. But this team has friction, differences, and secrets that tear them apart instead of bringing them together amidst the threats of war on the horizon. This was a rare read that I didn't want to finish because of the action and mystery. You don't know everything up front, and not everything is revealed once you get to the end. There wasn't much suspense since you know the reveals from the moment they are introduced. I haven't found any information stating whether this is a standalone or series, but I'm hoping for the latter due to many questions left by the last pages. On the other hand, this doesn't end with a mind blowing cliffhanger and instead a sufficient one is used that either stands as the ending or a bridge to the next installment. A dislike includes the alternating chapters between Lai and Jay's point of views. The majority of chapters were from Lai's point of view so it would have been easier to keep this story in first person from Lai's perspective. The two points of views weren't written strongly so a lack of connection to Lai and Jay resulted. We learn glimpses of their past, more so for Jay, and chunks of time are left off with the switching viewpoints. So once finishing the story, the reader only knows these characters from the moment they were introduced without any history or depth. If there is a sequel, I'm hoping the author decides to write it from Lai's point of view to make the story stronger. A book that has all the elements for a fast paced, sci fi adventure but ended up falling flat. “A Solider and a Liar” follows Lai, a gifted telepath who went to prison to escape the military and Jay an officer looking to bring her back for a mission to eliminate rebel threats with a team of other gifted soldiers, but as secrets are revealed and old friends come back with a hunger for violence Lai must decide which team she wants to fight for. There were so many moments in this book where I thoug A book that has all the elements for a fast paced, sci fi adventure but ended up falling flat. There were so many moments in this book where I thought I was reading divergent and not in a good way. The plot managed to stay one note through the entirety of the novel despite the action sequences and training sessions which was a huge disappointment. It didn’t help that it was a story we’ve seen a hundred times offering little excitement when it came to twists and the climax. The characters themselves fit into this generic world perfectly as they each stick to their role and don’t display any qualities to make them fully formed characters worth caring about. We had the unwilling soldier who is so brilliant at everything she hardly tries, the good old boy leader who is doing his best with an unwilling team, and two side members with questionable pasts that cause conflict for the pivotal confrontation but don’t worry they breakfast club it out of there with a few seconds of arguing before agreeing they’re better off as a team. A Soldier and a Liar was a unique and action-packed story with a mixture of sci-fi and dystopia. Each character held depth and felt fully realized, standing within this world on their own two feet with a purpose. There was such an instinctual relatability with Lai’s character—even with her gifts—with how any reader could understand her wants and struggles in her divided nation. And seeing the dynamic of her and her unlikely crew being forced to work together became the best part of the book. Though I would’ve liked more world-building and background for this world and our two main characters, I was still able to enjoy the story that was being told. I loved the conflict of interpersonal struggles clashing with personal objectives and how it worked against the backdrop of this tension-filled world. I am excited for the possibilities that could come next and look forward to exploring them as A Soldier and a Liar was a fun, fast-paced read. Different points of views really work in the story. It was so interesting to see Lai's point of view, on one hand, to see how she sees a world and then, on the other hand, to see how the world perceives her. The magical system is well thought out and very intriguing. I loved all the different superpower and the dystopic setting. There is a lot of mystery, spying and political intrigue. I was hooked from the very start and I loved every page of it! 3.5 stars. I recieved an ARC from a goodreads giveaway. This started out great. The characters were jumping off the page and the pacing was perfect. Then the story hit a snag somewhere and things slowed down and started to drag a bit. I felt like some of the plot felt more formulaic than original, and I think that's where I struggled with this story. I felt like I had read it before. All in all it was good and if it gets a sequel I will read it. I really enjoyed this! It's a fun read about a group of teens with superpowers--and all of them with secrets--trying to find a place for themselves in a world where society doesn't trust people like them. These four wind up in the same troop in the military and have to find a way to work together. A fast-paced and exciting read. I would liken this book to The Darkest Minds mixed with X-Men in terms of how the Nytes are treated and still teenagers/young adults. A new young adult novel that all are sure to enjoy, A Soldier and A Liar is about four unlikely partners that work together to overcome a common foe. I loved reading this book and kept going back to it time and time again instead of other responsibilities! 5/5 Loved! I love the premise of this book. Good vs. evil is always exciting. I have to admit, I am still reeling from the ending. I don't like it! I guess there needs to be a sequel! Those of you that enjoy just a touch of futurism, this is a good one for you! Ahhhhh I really loved this book! The characters really make it wonderful and I feel like I know Lai, Jay, Al, and Erik so well and I would follow them anywhere to find out what happens to them. Great action-y plot, strong characters, guessing it's a number one. Slight niggle, not sure the title really fits (they ALL lie... they are all soldiers.. hmmm). Oh. My. God. This book was fantastic! Reminded me of young X-Men in a distopian world. I loved the concept, the execution, everything! Praying for a sequel because this first book was AMAZING! Received an arc from netgalley. REALLY glad I asked for this book. Awesome characters and action. Highly recommend it! OK, I wanted to love this book but it was predictable and even though the premise sounded good the execution was meh. Lai is fierce, conflicted, and as stubborn as I like my heroines to be. She is trying to find the balance between two worlds and save the day. When she is thrust back into a teamwork situation she has to learn to trust her fellow super-powered teammates. For the last two and a half years Lai has been pulling people together to form the Order, a group of people made up of Nytes, Nytes are people with special abilities who the Etiole want to get rid of. She has been doing all of this while doing time in prison. The Etiole are afraid of the Nytes and want to get rid of them and will do whatever it takes to do just that. War is imminent between the two groups if they can’t figure out a way to end it before it even begins. Lai was a military officer For the last two and a half years Lai has been pulling people together to form the Order, a group of people made up of Nytes, Nytes are people with special abilities who the Etiole want to get rid of. She has been doing all of this while doing time in prison. Lai was a military officer before going to prison so when an officer shows up at the prison asking her to return to service and join a special military team, at first she says no but after giving it a lot thought she thinks she was probably being a little hasty in making her decision and decides that she has done all she can from a prison cell and that may be it is time to go back to the military as she can find more info and more recruits in the military. Lai joins forces with a special group of people that have their own special talents like Lai. Lai is trained with the other members of her group in hand to hand combat as well as with their unique abilities. Each member has their own reason for joining the team and no one trusts anyone not even their own selves. Each member of the team must learn to trust the other if they are going to help the Nytes. A Soldier and a Liar is a great introduction into a new series with lots more story to tell hopefully in the future. There is action from beginning to end it is so intense that it will keep you flipping the pages to see what their mission will consist of. I can’t wait to see what Lai, Jae and all the other characters have for us in the next book.